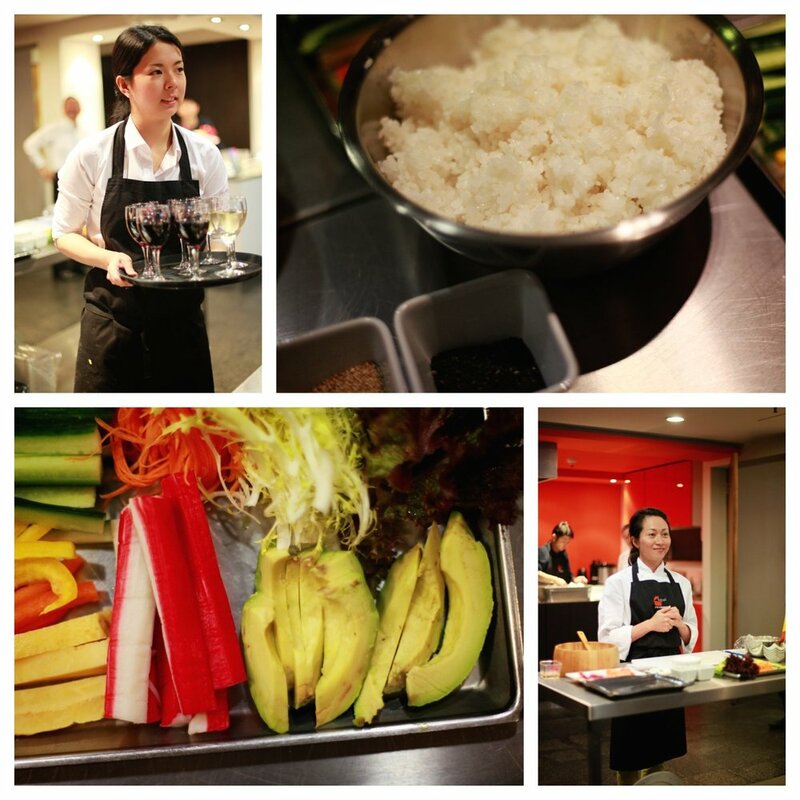 JMG and I recently attended a sushi making class at Sozai Cooking School in east London, with Flickr and food photographer Gideon Hart. Those of you who use your iPhone or smartphone as much as I do - which is often more than I do a proper digital camera - will be pleased to know that the Flickr iPhone app now allows you to capture images, add a filter and upload them to your online Flickr gallery. This not only allows you to make use of their rather nice app, but also take advantage of the massive Flickr community and the 1TB of free storage available to store all of your photos. You’ll never run out of iPhone memory again! JMG and I have used Flickr for years. At home we have our Apple TV linked to our Flickr accounts so that we can see a slideshow of our photographs when in screensaver mode. It’s certainly creates a talking point for when friends come round - but it does make you a little nostalgic too. I also use Flickr when I’m checking out how good a particular lens or model of camera is. For example, I searched for ‘Canon 5D MKII’ and then looked at what lenses people used to get their perfect shot. I spent ages looking at photos taken using a Canon 50mm f1.4 ultrasonic lens before finally making the leap and investing in one myself. But it was worth it! For more photos from the event check out Kristabel’s blog post. Gideon Hart, an expert in food photography has developed, in association with Flickr, the 10 commandments to food-ography. 1. The secret to making food look positively mouth-watering in photos is keeping it simple! There’s no need to rearrange your food, it looks scrumptious the way it is. So refrain from constructing your food into some sort of sculpture and just snap it as it is served to you. 2. Don’t use a flash, we’re not on the red carpet. Taking photos of food needs plenty of day light, preferably from behind the food to make it look delicious. A harsh flash can create shadows which detracts from the dish. 3. Get snapping as soon as you get your food. You don’t want greasy fingers spoiling the shot and for hot food, colour and texture can change as soon as it cools, so make sure you’re not tempted to tuck in before getting the winning shot! Not to mention that sharing an image of a half-eaten burger, however tasty, is never going to win over your social admirers’ virtual taste buds. 4. Think outside of the box and be creative with props. There is no absolute rule when it comes to composition but try using props and the background around you in creative ways. Using the pyramid rule, perhaps incorporate a checked table cloth, a wooden platter or even the base of a vase to give context and depth to your image. 5. Make sure you focus! Whether on your mobile device or a high end SLR camera, try to draw the eye to a particular point of the image. If it’s a salad, focus on a luscious tomato or if it’s a cake, the cherry on top. Play with angles and focus in on the most appetising aspect of the meal nearest to you. 6. Whip out your mirror and reflect the light - If there is too much shadow it can make even the most exquisite snack look a little dull. If you have a mirror or even the back of the menu, you can use it to bounce the light. But make sure you bounce the light back to the front of the plate to get the optimum image. 7. Over expose your dinner - Even on a mobile device this is possible. It helps to brighten up the background and lighten up any dark areas in the foreground, so wherever you are, be it eating alfresco or in basement diner, you can still get a good image. 8. If you really take your food-ography seriously have a paint brush on hand. If you’re a pro amongst your pals when it comes to food pics, a paint brush and some olive oil can make all the difference. It’s like adding a little gloss to make that tired salad inviting again. 9. It’s all about telling a story. You need to go beyond the dish and capture the essence of what you’re about to devour. Are you chowing down on some Japanese food? Then get your chopsticks in the mix. Any human element be it a chef stirring the food, a sprinkle of parmesan or a friend eating their meal, brings a different level to a picture. 10. Last but by no means least, remember you don't have to look through the lens (or indeed at your phone)! Using a bit of guess work for ‘over the table’ shots can capture the ambiance of where you’re eating. Thank you to Sozai Cooking School, Yahoo Flickr and Gideon Hart for such a memorable evening.